The Best Fitness blogs from thousands of top Fitness blogs in our index using search and social metrics. Data will be refreshed once a week. Also check out Fitness Podcasts and Fitness Youtube Channels. Fitness newsletter is a comprehensive summary of the day's most important blog posts and news articles from the best Fitness websites on the web, and delivered to your email inbox each morning. To subscribe, simply provide us with your email address. New York, NY About Blog Discover tips, guides, and expert advice on fitness, gear, adventure, style and more from the editors at Men's Journal. Facebook fans 457,968. Twitter followers 85,556. About Blog At Reebok, we love fitness. It's what wakes us up in the morning, what we think about all day, and what drives us toward tomorrow. Facebook fans 9,145,811. Twitter followers 737,605. San Francisco, CA About Blog Hello Healthy is the healthy-living blog of MyFitnessPal. MyFitnessPal is a free and easy nutrition and fitness system that helps anyone achieve good health. World's largest digital health and fitness community and their powerful tools get you fit, and keep you there. Facebook fans 1,576,987. Twitter followers 177,747. About Blog I specialize in healthy lifestyles, weight loss, functional body weight training and gluten free nutrition. Daily, I coach, motivate and empower others to turn their excuses into solutions and become their best possible selves. I help you decide to take control of your body, mind business and life and I share the tools with you to get to the point and have success! Facebook fans 1,861,565. Twitter followers 30,767. About Blog Fitness, Nutrition & Health Blog. The Runtastic Ecosystem offers users a comprehensive and easy-to-use portfolio of health and fitness products, services & content. Why? Because we want our users to track their daily lives and develop better awareness of how they're living. We want to help them reach their goals, live better & live longer. Facebook fans 4,233,519. Twitter followers 105,631. About Blog Are you a personal trainer, group fitness instructor or other practicing fitness professional? Thought leaders from ACE and throughout the industry will keep you on the forefront of fitness with the latest research, best practices, and innovative tools and techniques to boost your fitness career. Facebook fans 263,729. Twitter followers 67,558. About Blog This blog is a resource for you to learn and expand your knowledge of nutrition, fitness, and health. We have a team of passionate experts who are here to help you reach your goals. And because we know you're busy, we cut through the science speak to give you the information you need quickly. Facebook fans 390,510. Twitter followers 106,221. Los Angeles, CA About Blog Jillian Michaels is the foremost fitness expert in the world and a renowned life coach. The Jillian Michaels Show brings you a new entertaining, inspirational, and informative show to help you find health and happiness in all areas of your life every Monday. Join Jillian and the rest of the crew in conversations with her favorite experts and friends about fitness, well-being, and much more. Facebook fans 3,137,853. Twitter followers 1,753,107. About Blog Check out our Health, Fitness & Nutrition blog to find the latest research and trends concerning holistic nutrition, fitness training, health and more! AFPA education and certification provides individuals with the information necessary to achieve long term success in the fitness, nutrition and wellness professions. Facebook fans 49,674. Twitter followers 2,644. USA About Blog Muscle & Fitness is your complete workout and diet manual. Get access to killer workouts, fitness inspiration, nutrition tips, and all-around awesome advice. Your ultimate source for full workout plans and advice on building muscle, improving nutrition, and using supplements. Facebook fans 6,827,908. Twitter followers 898,694. About Blog A healthy lifestyle blog emphasizing quick workouts, quick recipes and adventures as a wife and mom by a military wife, group fitness instructor and personal trainer. The mission of this blog is to demonstrate that fitness and healthy eating doesn't have to be blah and boring. Facebook fans 32,043. Twitter followers 26,672. About Blog Health and Fitness Tips from the Home Gym Experts. Total Gym Pulse is a community of health, fitness & lifestyle professionals brought together with one goal in mind - to motivate YOU, inspire YOU and empower YOU to enjoy life and to look and feel your best on the inside and out. Facebook fans 32,434. Twitter followers 9,637. Gurgaon, India About Blog Fitso, unfolding to 'Fitness Social' started with the vision to make fitness an addictive experience for every individual. If weight loss is your goal and running is your passion, then Fitso is your stop. Our mission is to become the largest online health & fitness training platform. Facebook fans 35,739. Twitter followers 4,073. Facebook fans 9,232. Twitter followers 52,146. About Blog VASA FITNESS exists to inspire everyone to find happiness through physical and emotional health. The word VASA comes from Latin, vessel. VASA FITNESS is your body, your victory, your gym. The mission is to UPLIFT everyone through fun, happy fitness. Facebook fans 68,095. Twitter followers 3,457. About Blog At Healthworks Fitness Centers for Women we empower women to be strong, both physically & mentally. Our mission is to be the leader in women's health & wellness by providing exceptional experiences. Facebook fans 19,019. Twitter followers 5,458. About Blog Fitness Blog by Garmin. As a leading worldwide provider of navigation, we are committed to making superior products for automotive, aviation, marine, outdoor and fitness markets that are an essential part of our customers’ lives. Facebook fans 1,734,833. Twitter followers 147,482. About Blog UA Record Blog. UA Record is the world's first 24/7 connected fitness system. Use the complete and powerful UA Record app for your 24/7 activity, sleep, and workouts. Facebook fans 10,167,760. Twitter followers 968,375. Facebook fans 497,520. Twitter followers 2,703. Hyderabad, India About Blog TheFitIndian is a wellness community which concentrates on Health, Fitness, Diet, Beauty, Weight Loss and Nutrition. Facebook fans 192,228. Twitter followers 4,337. About Blog Sports Fitness Advisor offers training plans for a variety of sports and performance outcomes - like increased sport-specific strength, speed, power and endurance. And with the same evidence-based approach used by top Exercise Scientists, you'll learn the most effective ways to lose weight and build muscle. Facebook fans 951,144. Twitter followers 3,163. San Diego, CA About Blog Less attitude. MORE fitness. Chuze Fitness is a place that is free of distraction and intimidation, where everyone is welcomed and accepted, no matter what their current physical condition may be. The only competition you'll find at Chuze will be with yourself. Facebook fans 46,350. Twitter followers 6,553. 14 States and Counting! About Blog Healthy lifestyle and fitness blog brought to you by Youfit Health Clubs. Weekly posts will feature motivational and inspirational content, healthy and easy recipes, behind the scenes sneak peeks, editorials from guests, tips from our Youcoach trainers, stories featuring real Youfit members and much more. We look forward to being a part of your fitness journey. Facebook fans 114,265. Twitter followers 14,752. Gurgaon, India About Blog Fitso, unfolding to 'Fitness Social' started with the vision to make fitness an addictive experience for every individual. If weight loss is your goal and running is your passion, then Fitso is your stop. Aberdeen About Blog Food For Fitness was created by Scott Baptie to provide people like you with simple, individual, enjoyable and healthy nutrition and fitness advice to help you move, look, feel and perform better. Facebook fans 23,019. Twitter followers 1,276. About Blog Your success in coaching and fitness, are our goals! Since 1999 OPEX's has produced a CrossFit Games champion, 70 Games Competitors, and over 550 Regional athletes as well as over 1,700 coaches worldwide. Facebook fans 56,211. Twitter followers 8,440. Laguna Beach, CA About Blog Hi! I'm Katie Dunlop, I am a certified personal trainer and fitness instructor! My passion is to help others live a fit, healthy and most importantly balanced life. I am so excited to be able to share Love Sweat & Fitness with all of you! My goal is to help you discover your perfect body! Facebook fans 60,185. Twitter followers n/a. About Blog At Horizon Fitness we focus on what matters in exercise equipment so you can focus on what matters in life. Facebook fans 11,612. Twitter followers 819. About Blog We believe all of the important moments of your life will be enriched when you lead an active lifestyle. We believe everyone everywhere deserves to enjoy all of the benefits of being active and fit. Facebook fans 24,376. Twitter followers 1,685. About Blog British Military Fitness are the UK's biggest and best loved outdoor fitness classes. Over 140 outdoor venues. Facebook fans 60,817. Twitter followers 10,966. About Blog I am a mechanical engineer (PhD, Stanford, 1980), born in 1953 with a lifetime interest in outdoor activities and fitness. I have gone through and rehabbed from three major surgeries: two hip replacements, and a heart valve replacement due to a congenital condition. On this site I will chronicle my efforts to stay active despite these bumps in the road. I also give advice based on what I have learned over the years on physical and mental training as well as diet. United States About Blog Anytimestrength.com is give you motivation for bringing and fitness goal all sports of fitness motivation. The huge collection of fitness workout blog, exercises, cardio workouts, diet plan & training to help you reach your goals. Facebook fans 47,409. Twitter followers 117. About Blog Quality of life starts with living well. At World Health, we're here to help you discover the benefits of living an active, healthy lifestyle. Facebook fans 8,757. Twitter followers 1,366. Ankeny, Iowa About Blog Erica created her Knocked-Up Fitness for women to stay fit and healthy during all stages of pregnancy, including after baby. Exercise during pregnancy can have enormous benefits to both mom & baby, from having more energy, faster labor & delivery, to bouncing back quickly after baby. Facebook fans 73,275. Twitter followers 2,434. About Blog Fit Athletic Club is more than just a gym; it's a lifestyle brand that promotes healthy and inspired living, offering the best trainers, group classes, equipment, facilities, perks and parties in the region. Facebook fans 8,810. Twitter followers 1000. About Blog Carmy is a Health and Fitness Blogger in Toronto, Ontario, Canada. She is an avid runner and fitness enthusiast with an adorable dog. Follow along on her healthy living journey as she shares what she learns along the way. Facebook fans 2,451. Twitter followers 2,368. United States About Blog At home fitness & healthy lifestyle tips that are simplistic and doable! Our DIY Active experts help you and your family stay fit, healthy and happy. Facebook fans 11,959. Twitter followers 13,878. About Blog Get strong. Feel confident. Look amazing. Where science and body-positivity come together to make you fitter, healthier, and happier! Facebook fans 4,751. Twitter followers 3,053. About Blog Faithful Workouts' mission is to inspire physical & spiritual fitness. It's so important to connect with God, exercise regularly and eat properly if you want to get healthy. Facebook fans 14,698. Twitter followers 975. London, UK About Blog A Fitness Blog about Gym Training, Sports Fashion, and Healthy Nutrition - By fitness blogger Faya Nilsson. Facebook fans 28,710. Twitter followers 24,862. England, United Kingdom About Blog NowProtein Life Fitness Blog offers a wealth of information on health and fitness, from exercise regimes to top healthy eating tips. Join the conversation. Facebook fans 7,220. Twitter followers 865. About Blog A health and fitness blog by a girl who likes running, Roller Derby, cocktails and cheese. Facebook fans 2,110. Twitter followers 1,150. About Blog Powercakes is a food and fitness blog by Kasey. She has a great passion and enthusiasm for fitness, fueling your body, cooking and baking. The blog features different fitness tips and recipes to fuel your body. Facebook fans 7,770. Twitter followers 11,119. About Blog A site dedicated to sharing ways we can incorporate healthy eating & fitness into our daily lives. I share everything from the latest nutrition info, gadgets and tools, fitness tips, motivational tips, polls and a weekly health news round up. Stick around with me so we can work together to inspire each other to fitness and health. Facebook fans 2,007. Twitter followers 7,717. About Blog The Art of Healthy Living is dedicated to helping you lead a healthy lifestyle. Diets, Fitness, Well-being: Health is so important, your life depends on it! Facebook fans 7,647. Twitter followers 1,577. Sydney, New South Wales About Blog Amy Darcy finds a different way of healthy living, one that is sustainable and balanced, free from fad diets, unnecessary restrictive eating, rules around fitness, and worldly expectations that only add stress to our already busy lives. Facebook fans 5,132. Twitter followers 1,429. Facebook fans 3,413. Twitter followers 2,291. Toronto, Ontario, Canada About Blog Kathleen Trotter has been working in the health field since 2002. Kathleen identifies as a personal trainer, a wellness writer, author of Finding Your Fit, a nutritionist, a life coach, and an overall health enthusiast. Kathleen started her work as a fitness writer at Chatelaine in 2010. Shortly after, in 2010, she started writing for The Globe and Mail. Facebook fans 2,538. Twitter followers 1,306. Pakistan About Blog Build a Stronger, Healthier Body. Facebook fans 16. Twitter followers 17. About Blog Muscle & Youth, group of bodybuilding enthusiasts who have joined hands to educate fellow brethren about the best ways to good health. Supplements, exercises, tips, alternate sources of nutrition and other related information providing is our main motto. Facebook fans 714. Twitter followers 75. Boca Raton, FL About Blog Hi I am Laura London and I am here to help you have a Hot and Healthy Body at any age. My blog is where I share all my best tips, workouts, recipes, interviews and so much more to get you hot and healthy from the inside out for life. Facebook fans 115,769. Twitter followers 6,214. About Blog Free Form Fitness is a personal training center that provides customized solutions regardless of the shape you're in. Our friendly personal trainers are experts at helping people lose weight, get in shape and become healthy through the use of proper exercise, nutrition and lifestyle modifications. Facebook fans 2,209. Twitter followers 8,719. Facebook fans 3,672. Twitter followers 608. New Delhi, India About Blog Healthkeeda covers various topics including relationships, weight loss, celebrities health, diet & food etc. About Blog #1 online source for Health and Fitness products with beauty accessories at competitive prices. Our products and blog reflect who we are. Helping people incorporate practical healthy habits into a busy routine. Our fitness products aid weight loss workout plan for men, as well as for women. It doesn't matter what fitness level you're on because our products also cater for beginners weight loss workout plan for men and women. Blog posts on best exercises to lose weight fast. Facebook fans 715. Twitter followers 259. Facebook fans n/a. Twitter followers 21,388. Spain About Blog Family, work, friends, you lead a busy life and finding time to stay in shape and healthy is tough! Fitness online training is what you need. With pilled workload, going to the gym to run on the treadmill and lift pointless weights just for sweating is the last thing on your mind. You need an effective and safe exercise routine to reach your goals and advice on what to eat to not waste your valuable time. Facebook fans 1,223. Twitter followers 4,156. About Blog One stop website for all fitness related questions. This website was created for two reasons. First Provide readers with the most honest information regarding fitness & health and secondly to Help people in the process of gaining muscle, losing weight and just achieving overall health and wellness. If you are looking to achieve your fitness goals once in for all, then you need to steer away from the B.S nowadays in the fitness industry and start reading our blog posts. About Blog Are you Freak for Fitness? No more nonsense advice. Just stay connected with us to read latest health related tips and advice with our experts team. About Blog The CDC recommends that we get 2 ½ hours of physical activity each week, but for many of us it's a challenge to keep up an exercise routine. Move it Monday encourages people to start the week by taking the stairs, going to the gym or doing a Monday Mile - and to commit to staying fit throughout the week. Facebook fans 3,950. Twitter followers 8,410. Sydney About Blog Fitness In The City was born out of sheer frustration at the lack of fitness options that I myself wanted to do. Training that made me want to get out of bed, motivate me to leave work and lace up my sneakers, to feel supported and encouraged not just while training but away from training as well. Home to all things fitness, nutrition, recipes and health. Blog by Lee Sutherland. Facebook fans 3,901. Twitter followers 1,683. About Blog The North Organic Foods informational blog focuses on the importance of sustainability, health, and composition of organic foods in our world today. We blog about industry standards, new health and law releases, the importance of proper nutrition, how to lose weight the natural way, and how organic consumption is valuable for the future of our environment. London, UK About Blog Notting Hill based health, fitness and luxury lifestyle journalist, blogger and consultant. Penchant for protein shakes, weights and caffeine. Facebook fans n/a. Twitter followers 1,158. London, England About Blog Dig Deeper. Reach Higher. Live Better. About Blog Double Edge Fitness Blog. Double Edge is a premier CrossFit and personal training gym located in the midtown district of Reno, Nevada. We offer varied group classes, and personal training that focuses on the CrossFit methodology of constantly varied functional movements intended for all fitness and skill levels. Facebook fans 3,392. Twitter followers 158. Glasgow About Blog A Journey from Morbid Obesity to Try Athlete and Active Traveller. Facebook fans n/a. Twitter followers 3,378. Oxfordshire About Blog I am a fully qualified Level 3 Personal Trainer and Indoor Rowing Instructor. I am passionate about indoor rowing, and my aim is to introduce as many people as I can to this great high cardio, low impact workout which is gentle on your joints. New Delhi, India About Blog Manu is one of the best Health/ Fitness/ Lifestyle bloggers in India provide consulting services to individuals to balance work and life. Common Ways for Common People to pep up their life. Calling out all Desk Jockeys, Couch Potatoes; gear up its time to flaunt. Facebook fans 3,697. Twitter followers 3,352. About Blog Our mission is To help people learn about how to live a better and healthier life. Take care of your body. It's the only place you have to live. Facebook fans 2,275. Twitter followers 8. About Blog A no nonsense approach to teach people the safest, quickest way possible to change their fitness habits and to reach their goals. I want to motivate people to create a healthier lifestyle and the know how to reach their goals as fast as possible.Because unfortunately not everything in life is as easy as gaining weight. United States About Blog We believe everyone should feel positive and inspired to improve their lifestyle no matter who they are! As a mother of two, I know sometimes finding time to exercise can be challenging. Facebook fans 257. Twitter followers 20. About Blog I'm Sarah Neumann, the founder of Daily Inspiration Community, a health and fitness blog, dedicated to inspiring women to get in their best shape ever physically by getting off the couch and joining a local gym. London About Blog Wildcat Fitness is a Personal Trainer, Fitness Instructor, Blogger and Influencer based in London, UK. This is my fitness, health, lifestyle, food, travel and nutrition blog, and hopefully will give you an insight into everyday life as a London PT. I also aim to bring honest reviews of products, clothing, venues and experiences, as well as workout tips and healthy recipe ideas, all from a 30-something busy London fitness professional! Facebook fans 903. Twitter followers 11,065. Ireland About Blog MM Fitness offers opportunity to improve your health and fitness levels through realistic workout, diet plans. Fitness work out plans for women including what to do at the gym to lose weight, giving training advice, recipes and workouts that can be done at home. Facebook fans 3,851. Twitter followers 16,180. Washington, DC About Blog VIDA Fitness is DC's premiere health and wellness club in DC. We are here to Make Your Life Better! Facebook fans 14,549. Twitter followers 5,683. About Blog Hub to inspire good health. Run by Rachel Grunwell:Wellness columnist (& health food creator) for Good Mag Juno Mag The Herald, yoga teacher, marathoner. Facebook fans 9,622. Twitter followers 192. About Blog We have found the best health and fitness information that is going to help you reach your goals. Grovit is the perfect health and fitness blog for those who love to read. About Blog UK Health, Fitness & Wellness Blog by Adrienne - A personal trainer, runner & fitness/lifestyle blogger. Facebook fans 532. Twitter followers 2,265. New York, NY About Blog Welcome to Beverly Severely Simpson Ftiness Blog. I help women find balance between their fitness goals and life's demanding schedule. My mission is to Empower moms to feel healthy, strong, and beautiful without pain. Facebook fans 346. Twitter followers 146. About Blog VENT Fitness is a results-based health club that inspires members to reinVENT themselves through a commitment to health, fitness and hard work. We're not a place of intimidation, but we're not about excuses or watered-down workouts either. Facebook fans 13,693. Twitter followers 1,018. Facebook fans 11,583. Twitter followers 1. About Blog Premier Fitness Camp is a world class live-in fitness experience created by a staff of fitness professionals to deliver immediate and lasting weight loss results through intense fitness and nutrition training and sustainable lifestyle choices. Facebook fans 31,751. Twitter followers 96. About Blog Inspiring People in their Daily Routines. My goal is for women around the world to reach beyond what they thought they were capable of, live a healthy lifestyle and discover true happiness in their bodies. Facebook fans 2,463. Twitter followers 540. About Blog Daily Workout, Fitness, Weight Loss, For Women's, Nutrition,Diet Plan, Nutrition Tips. About Blog Fitcetera is a health and fitness blog for fitness junkies, written by a fitness junkie. Forget prissy 1kg dumbbells and watery low fat yoghurts; instead push fitness boundaries and eat real food. No fads or frills, just no nonsense training, food and fitness etcetera. Fitcetera. Facebook fans 1,042. Twitter followers 3,773. About Blog There is only a correct diet. Our body is a perfect machine and no need to make its job harder. There is no "body trasformation", but rather "body reborn". Lets burn unnessecary loading together and step in "The New Me". Facebook fans 5,313. Twitter followers n/a. Watertown, MA About Blog I'm Athena, and I coach women in the areas of movement, fuel, and mindset. I'm basically here to help you realize that healthy living doesn't have to be so hard! Together, we can achieve your goals through methods that are realistic, sustainable, shame free, and fun. Facebook fans 2,146. Twitter followers 1,262. Madeira Beach, Florida About Blog Powered by the experts at Weight Crafters, the Healthy Living Blog focuses on health, wellness and fitness issues that affect us all, providing interesting and useful perspectives on dieting, exercise, healthy lifestyles and more. About Blog Our mission is to give the general public access to personalized health & fitness education, consultation, and training. And to give the general public recommendations on products and services that may help in the maintenance and improvement of their health and fitness. Facebook fans 1,075. Twitter followers 201. About Blog At Eat Well NZ we know that nutrition can seem confusing and that sometimes it's hard to know what to eat, what to buy and how to separate food fact from food fiction. Eat Well NZ is a blog that aims to solve this problem. Facebook fans 26,384. Twitter followers 676. About Blog THAT SQUAT BOT follows my journey to fitness, health, and happiness And to a fantastic bum, but that's just an added bonus. I'm Sarah, a sport marketing MSc graduate with a love for food and fitness - in fact so much so that I now work in health and fitness marketing. I live, workout, run, lift and play in Manchester, UK. About Blog Getting healthier with Deadlifts, one rep at a time. U.K About Blog The UK's leading hub for all your wellness needs. Get supplement discount codes, offers and free stuff from the likes of Myprotein, MuscleFood and more! Facebook fans 1,314. Twitter followers n/a. Sydney, Australia About Blog Hi! I'm Jess - a personal trainer, health and fitness writer and certified crazy dog lady living in Sydney, Australia. Subscribe us to get free workouts, recipes, guides and 28-day fitness challenges. Facebook fans 4,914. Twitter followers 774. Facebook fans 1,102. Twitter followers 1,057. India About Blog Anons sports manufacturing large varity of gym acessories and equimentsGym equipment, fitness equipments manufacturers and suppliers in india. Anons sports manufacturing large varity of gym acessories and equiments. Facebook fans 1,827. Twitter followers 184. About Blog Fitness Phantom is place where you can come at any time learn more about your health. We provide articles about weight loss, nutrition, bodybuilding, lifestyle, mental health, workout and supplements. Our mission is to provide quality information and to educate its audience about health & fitness. Our aim is to cover a broad area of health and fitness world. Facebook fans 613. Twitter followers 295. About Blog Senior Fitness Expert in India's largest fitness club chain 'TalwalkarsBetter Value Fitness Limited'. A blog by Nitin Chaudhary. About Blog Read my blog daily for healthy eating advice and fitness tips that will help you to get energised, look & feel great! Facebook fans n/a. Twitter followers 5,122. London About Blog Sharing the latest health and fitness experiences within London, from fitness classes to healthy recipes. Along with useful fitness and nutrition advice. Facebook fans 2,647. Twitter followers 84. Los Angeles About Blog Function 5 Fitness offers Muay Thai Kickboxing, Personal Training, Nutrition and Wellness services in the Los Angeles and Hollywood area. Facebook fans 1,315. Twitter followers 611. About Blog Fitness Fallacies Spot reduction refers to the fallacy that fat can be targeted for reduction from a specific area of the body and that it can be achieved through exercise of specific muscles. It is my passion to help people. With the knowledge I have acquired I wish to take action and improve others well being by way of diet and exercise. Blog by Stefan Perras. About Blog Weight-loss plans, video workouts, abs exercises, diet plans, beauty tricks, and health advice. About Blog Health, science, nutrition. There are all kinds of news you need to be in the best shape. About Blog We are committed to working with you to gain the results you want. Whether your aim is to lose weight, tone up, build bulk or gain weight we can put together a yoga, gym or other fitness programs for you and also recommend the right personal trainer to help you achieve your goals. Facebook fans 649. Twitter followers 10. About Blog A blog about a fitter you. Come find out what is on the cutting edge of fitness science and be a part of the ongoing conversation. About Blog Healthy Kinfolk the truth on fitness health and nutrition. workout routines to nutritional eating. Facebook fans 134. Twitter followers 502. About Blog We are a personal training franchising company with a single focus: to facilitate YOUR reinvention through physical challenge, adversity, and victory. Facebook fans 4,941. Twitter followers 903. About Blog Born Fitness was created to provide better information that meets you where you are. Whether your goal is losing weight or gaining muscle, Born Fitness was founded by New York Times best selling author Adam Bornstein to end your frustration that resulted from too much information, too many conflicting ideas, and enough empty promises to fill all the bookshelves in your home. Facebook fans 37,558. Twitter followers 108,611. About - Lovefitness has been teaching group fitness for 10 years. The mission to share the love for training and to make everyone, no matter where, feel good and get great results. About - Stay up to date with the Anytime Fitness Australia blog, which includes bespoke fitness, nutrition and wellbeing advice and tips from healthcare experts. About - Keep up to date with the latest health and fitness news, educational articles and other fitness tips! About - Latest news and information from Fitness Australia. About - Welcome to my fitness blog! Klara, 22, sports student and triathlon trainer from Austria! About - Welcome to my Lifestyle and Fitness Blog! At Fitfunfruits you will find articles on fitness, fitness, food and lifestyle. About - EVO Fitness is more than just a regular gym. EVO Fitness Blog covers topics like workouts, exercises, functional training and much more. About - Fitness Brazil developing the fitness and wellness market with education, networking and business! About - The artistic gymnastics of Brazil for Brazil and the world! About - Fitness On The Go Personal Training is a Canadian fitness and in home personal trainer company dedicated to helping people reach their fitness goals. About - I write about living a healthy lifestyle to help motivate other busy moms and women to make and achieve goals such as staying active and eating well. About - Vancouver's top personal trainers and transformation specialists sharing knowledge of fitness, nutrition and lifestyle balance with you. About - Women's Health Magazine Chile discovers the topics like Fitness, health, nutrition and diet, beauty, fashion and life tips. About - This is UFC Gym Chile Blog. We are the only gym that combines Fitness and Mixed Martial Arts in one place, oriented to the whole family. About - Fitpal is the fitness passport that gives you access to the best coaches and fitness centers in Bogotá and Medellín. About - We are a Czech Fitness Couple. Zuz is a doctor and future psychiatrist who loves healthy lifestyle and hard work. About - My blog is primarily about health, which to me is a balance between body and soul, where there must be room to fully enjoy life and where health is fun and exercise gives energy and well-being. About - An insight into my everyday life filled with exercise, family and motherhood, healthy tips and inspiration to keep you fit. About - Comunidad Fitness Ecuador is a digital publication about the fitness industry with current tips for amateurs and entrepreneurs. About - GetHealthyCairo is part of GetSircles evolving media outlets, with special focus on health, wellness, fitness. GethealthyCairo is Cairo's online health companion. About - Fitness.ee all the information from one place - gym, bodybuilding, weight lifting, nutritional supplements, training schedules, personal trainers, personal training and nutrition. About - I introduce myself as the coach of real people in real life and Graduate of State trained in nutritherapy. About - A blog of healthy and healthy recipes, rich in protein, free fitness programs, sports coaching and nutrition. About - I have two passions: bodybuilding and new technologies. Come and read me on various topics from combat sports to the latest smartphones in vogue! About - Here you will find contributions to the topics of training, nutrition, inspiration and the company Fitness First written by fitness and nutrition experts. About - Here you will find the best nutritional advice, as well as tips to enhance your workout and lose weight. Everything you need! About - A ground-breaking online platform featuring top Greek gyms. About - My goal is self-realization, physical and mental balance, conscious complex living for my guests in all areas of life. About - Iceland Fitness is about bodybuilding and the fitness scene in Iceland. About - Manu is one of the best health and fitness bloggers in India provides health, lifestyle and wellness consulting services to individuals to balance work and life. Health bloggers India. About - It's All About You - Exclusive Beauty and Health Tips for You. Get Effective Workouts and Exercise Tips to lose weight and gain muscles. About - The Put That Cheese Burger Down community will help its members to live a healthy and good life through simple, everyday steps. About - 90 Days Fitness and Diet Programs for Men and Women designed by Trainers Professional to get your Six Pack Body Dream. About - I am interested in health, fitness and feeling good. I believe that nutrition and fitness go hand in hand in making you the best ‘you’ that you can be! About - WellFest is Ireland's largest health, fitness and wellness festival. Through the WellFest blog we provide inspiring wellness content all year round. About- No matter your health goal, Find a Trainer has the right trainer for you! About- Fitness Lab is open to all those who want to help provide information and articles. About- People Fitness Riga is a New generation fitness club in Riga. The Blog is about Fitness and Lifestyle. About- Lemon Gym - a sports club for someone who is dear every minute. Vilnius sports clubs will satisfy the needs of every enthusiast. About- Coach at Home started as a personal training company, founded by Thomas Nielsen. The Blog is about healthy living, nutrition & health and much more. About - Our goal is to create healthy people both in the physical aspect and in the emotional aspect linked to the first. About - ABC Fitness School is the only fitness and nutrition school in the Republic of Moldova that offers international certifications and professional schooling. About - At Vondelgym we offer a unique combination of training methods, such as; bootcamp, bag training, running, fitness and functional training. About - We are experts in Weight Loss, Toning and Fitness for mums across the world!. About - At I-Fitness, we help you reach your fitness goals. We are your personal trainers, your gym, your nutritionist and your wellness support group. About - It is all about health and fitness that is related to our life and activity every day. The content that will be covered on this website is all about health from cancer, diabetes, weight loss, and exercise to mind and body health..
About - At Synergize.pk, we aim in changing lives for all Pakistani’s and bring about a healthy change in all teens and adults. About - Check out our range of vitamins and health food supplements at Bravo Nutrition blog. Find complete information related to whole foods and sports nutrition. About - Healthy recipes, tips to be in shape, exercises to tone the body, trends in the physical world, fitness, health. Learn about our blog here. About - Lift Style PH focuses more on fashion and fitness peppered with a few of my random thoughts and travelling posts here and there. About - I’m a French-Filipino content creator with a passion for good food, travel, and fitness. I want to show everyone the great (sometimes healthy, sometimes fatty) food in my home country, the Philippines, through simple and easy to follow recipes, and hope you learn with me about food and culture around the world in fun travel vlogs..
About - Pinoy Fitness is an all-inclusive venue that encourages passion for sports, wellness and health, empowered by a sense of camaraderie and community that is uniquely Filipino. About - Check the latest news and articles from the fitness world. About - Informative blog with topics related to fitness, plans, stores, food and more. The largest portal in English about Fitness. About - The sports nutrition specialists in Reunion!. The Blog about sport nutrition, sport nutrition and much more. About - Fitness Nation Blog covers workouts, exercises, nutrition tips, recipes, motivation, practically everything you need to get the body you want. About - "Fitness First Saudi Arabia is the number one gym for bodybuilding, weight lifting or health and fitness enthusiasts looking for productive gym workouts in the Gulf. For fitness, health and nutrition tips visit this blog. About - Shape Singapore brings you the latest on health, fitness, weight loss, nutrition, lifestyle, beauty and wellness. About - FitnessFest serves to showcase fitness for the everyday people – regardless of level of fitness, age, shape and size – to spark the start of or rev up your fitness lifestyle. About - General view on fitness,nutrition benefits and also to share experience & views in a unique way. About - Trying to build a community of Singapore fitness enthusiast. About - The Jog Blog is a portal just for you, providing information about health, fitness and lifestyle related topics. I write product reviews that are honest and takes the guesswork out of your fitness and lifestyle shopping. I am also doing videos to help you understand certain products and exercise routines. About - Do you love fitness, health and wellness? Do you love leading a full and varied lifestyle? Well that is what I am all about! I'm a trainer, but also a creative, so I share all things fitness, health, wellness, fun and fabulous! About - Cape Town girl Tracey Lee's journey from FAT to FIT. Here you will find workout routines, fitness trends, healthy recipes and much more! About - Mundo Fitness aims to answer all your doubts and concerns and those of other users of the largest fitness community in Spain. About - Find here the latest news related to the fitness sector, tips on how to train, maintain a healthy diet and everything related to wellness. About - This site provides you the most comprehensive and up-to-date A-Z database of all sports, gym, and outdoor activities currently available in Sri Lanka. Explore the site for activities and events that may interest you, search for classes, experiences and workshops, buy workout gear, find healthy food outlets, physiotherapists to spas and much more. About - Hello, Welcome to my Blog guys, this is my personal Health and Fitness blog where I write about my Fitness Journey, Natural Bodybuilding and How to Stay Fit and Healthy in Sri Lanka etc. About - Welcome to Aspire’s Blog, where you find the latest articles, videos, promotions and free strategies with Bangkok’s leading personal trainers and fitness professionals to help you get in great shape and be the best you can possibly be! About - Notting Hill based health, fitness and luxury lifestyle journalist, blogger and consultant. Penchant for protein shakes, weights and caffeine. About - From CrossFit and functional fitness tips to yoga and healthy recipes. Come run fast, lift heavy and eat hard with top UK fitness blogger THAT SQUAT BOT! About - Fitness, workouts, FOOD. It's just me documenting my journey really. I try and share tips to maintain a healthy/balanced lifestyle and overshare my thoughts on lots of different topics! About - Hi, I'm Charlie a marathon runner and fitness junkie from London. This blog aims to 'pace the way to healthy without missing out on any of the fun. About - Improve your wellbeing with fitness tips, healthy recipes, workout plans, music playlists, weight loss advice, and videos + podcasts from Anytime Fitness, the #1 co-ed fitness franchise in the world. About - With an intelligent and authoritative approach to fitness, healthy eating, accessible style, grooming, and more, Men’s Fitness is the modern man’s guide to looking and living great. About - MyFitnessPal is part of the world’s largest digital health and fitness community, Under Armour Connected Fitness. 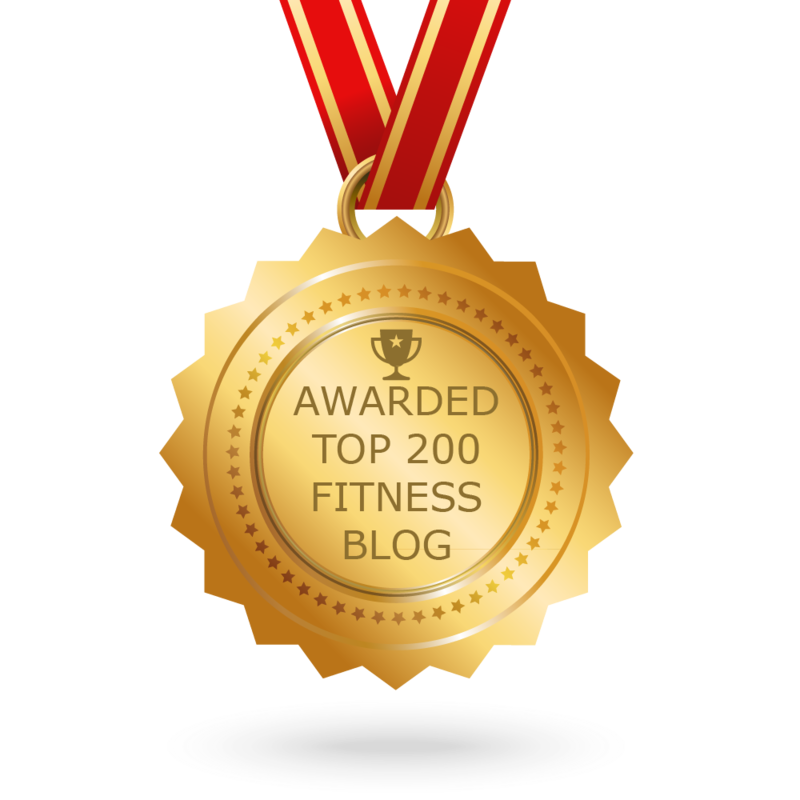 CONGRATULATIONS to every blogger that has made this Top Fitness blogs list! 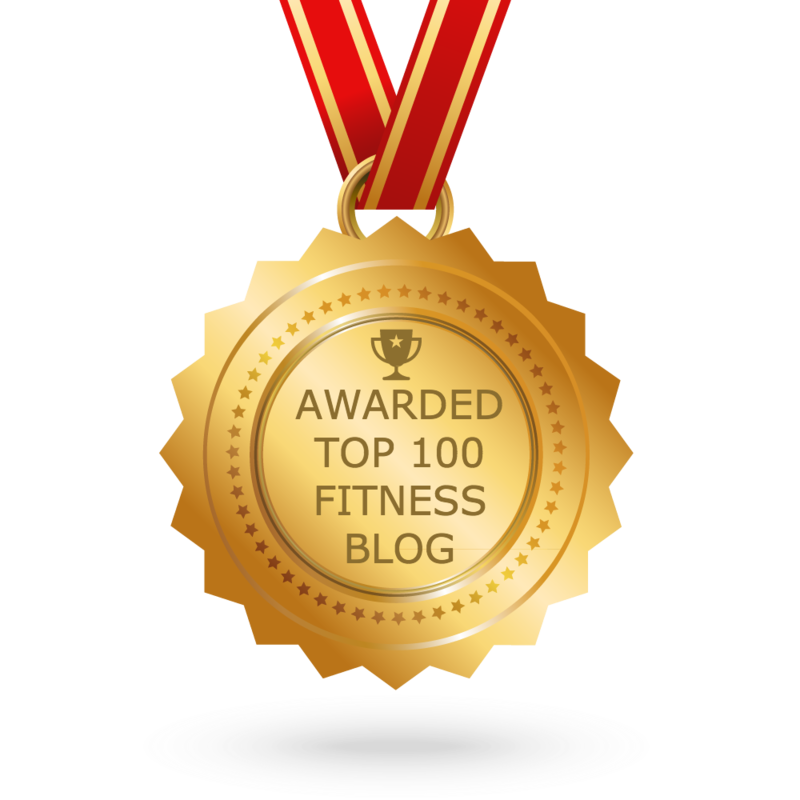 This is the most comprehensive list of best Fitness blogs on the internet and I’m honoured to have you as part of this! I personally give you a high-five and want to thank you for your contribution to this world.